A friend of mine said the other day that he was having a harder time and needed some encouragement. That brought to mind a part of my TESTIMONY book where I encourage the reader to never forget who they are and why they are here on this earth. Often we get caught up in what is going on around us in the world and forget why we are really here. And so, I share an excerpt from my book here for the benefit of my friend as well as anyone else who may be experiencing some challenges in their life. There are times in our lives when we struggle more, and things seem darker, or we may feel despair and wonder if God is still there and cares. I assure you that he most definitely is still there and cares. And even though there are darker days that we go through, His Gospel truths are still there, and the light will come back if you don’t lose sight of your heavenly goal. Remember the things I covered in the vision chapter. A good way to do this can be seen from the following experience that I had. When I was in high school I had an interest in photography, so I bought an SLR 35 MM camera and took a photography class. In those days there were no digital cameras. Cameras needed film to take a picture. 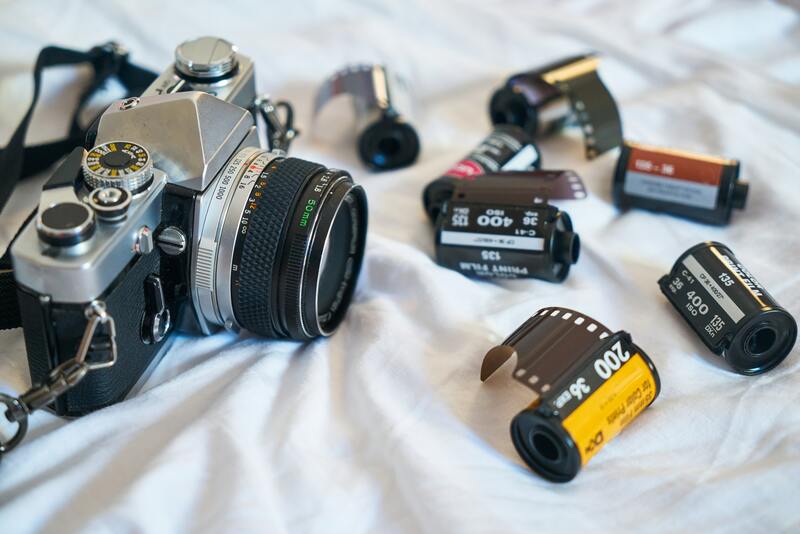 So you would have to buy film, load it into your camera, take the pictures, then send the film to a lab to process it. Then, after what seemed like a very long time, your pictures would come back and you could see if any of the pictures you took worked out. Sometimes the pictures wouldn’t turn out very well and you may never be able to get back to where you were to re-take the pictures. Part of the photography class that I was taking involved loading our own black and white film into film cassettes, taking the pictures, then developing the film and printing the pictures ourselves. When we were developing the film, we had to remove the film from the film cassettes in total darkness and transfer it onto a special reel that would then be placed into a film developing tank before turning the lights on again. Some of the students asked how they could possibly do this in total darkness. The teacher’s answer was to use the concept of keeping things in your mind’s eye. This means that you go through the motions in the light with practice film while keeping in mind how things look and feel. Then once you have a good feel for it, you can do it in the dark bringing to remembrance what you saw and felt while in the light. This technique worked very well. I used it successfully over and over again in the class and for years beyond. Nowadays everything is digital and there is no need for the film processing, however, the technique of the mind’s eye is very applicable to our lives in many ways. This is especially true when it comes to remembering our Heavenly Father’s plan and our heavenly goal—the very reason that we are on this earth. Study and pray, bask in the Lord’s Spirit and keep the vision in your mind and heart of who you really are and who you were always meant to be — a child of heavenly parents, destined to be like them. Then when times get tough and the world seems darker, bring to remembrance our Heavenly Father’s plan, our Savior Jesus Christ, and His atonemnt in our behalf, and our heavenly heritage. Then keep it in your mind’s eye to guide you through dark and troubled times until the light returns— and it will always return — because your Heavenly Father loves you and wants you to learn from and overcome your challenges. If you show that you want to follow the pathway back to Him, He will help you to succeed in your effort. May you always remember who you really are and keep God’s love in your heart to help you through difficult times.